Sometimes I’ll spot a woman whose fashion-forward look is so casual that she almost blends in with the crowd. Almost. Shayna’s Rag & Bone ankle boots, luxe Burberry trench coat, and Givenchy Nightingale bag are instant standouts in the sea of tourists on Michigan Avenue. I’m always excited to photograph everyday outfits grounded in solid, high-quality staple pieces, yet slip under the radar for the sartorially uninitiated. There are so many reasons I love this photo of Samm Mackin, PR Director for Gallery Aesthete. Mostly because he’s like a younger more attractive version of Keanu Reeves in The Matrix. And coming from me, there’s no higher compliment. Seriously. 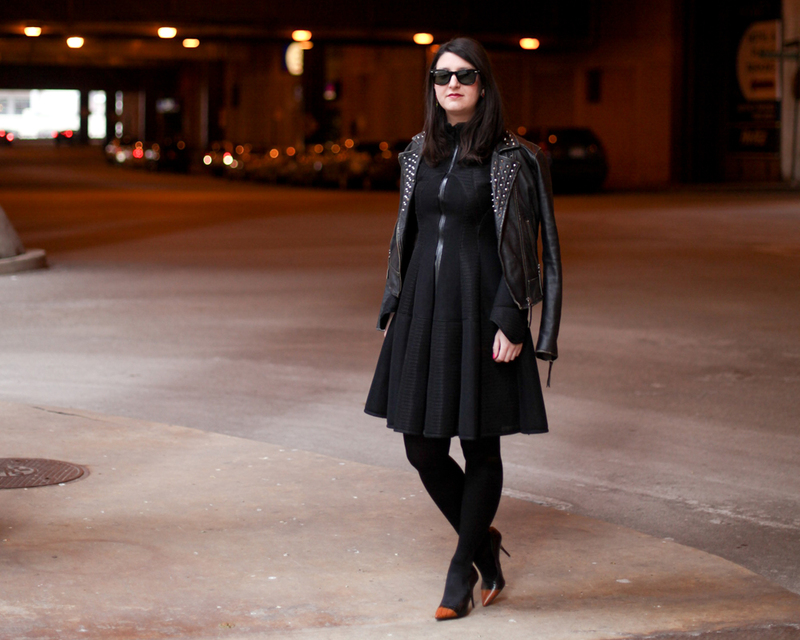 Chicago stylist, brand-builder and all-around fashion expert Mel Muoio has incredible style and killer shoes. Her Valentino Rockstud pumps (these are limited-run black calf hair, no less) are catnip for a street-style photographer like me. What’s less expected is her eloquent, thoughtful personal blog. More than just a repository of personal outfit photos, Mel shares new discoveries, exciting updates about her enviable career as a creative consultant, and tips about how to have one of those impossibly well-curated lives (by someone who manages to do just that). Mel, it was a pleasure meeting you – again!